The man in charge of safeguarding China's economic statistics is under investigation for potential corruption. 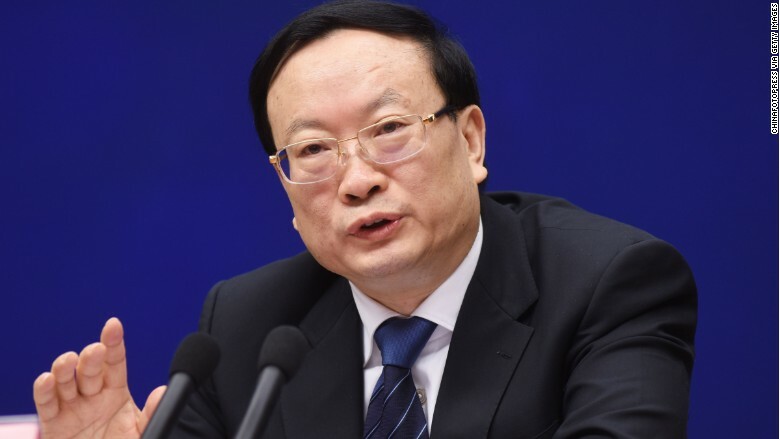 China's Central Commission on Discipline Inspection announced Tuesday that Wang Bao'an, party chief and director of the country's National Bureau of Statistics, is under investigation for "serious violations of party discipline." Beijing uses the phrase "violations of party discipline" as a euphemism for graft or corruption. The surprise announcement, which is bound to raise new questions about the accuracy of Beijing's economic statistics, came just hours after Wang briefed reporters on the state of China's economy. China's economic statistics have come under fire in recent years from analysts and economists who say they are artificially inflated. Some are convinced that China is outright cooking its books. Others debate the accuracy of certain data and point to more meaningful alternatives like electricity consumption or rail freight. Related: Is China cooking its books? In the past, criticism of GDP calculations was mostly tied to "GDP worship." One way for officials to get a promotion, be it at the village or provincial level, was to hit -- or exceed -- growth targets, and then send the good news along to Beijing. "China does not have an independent statistics bureau," Andy Xie, an independent economist, told CNN last year. "It depends on local governments reporting the numbers from the bottom up, and local governments do have an incentive to distort numbers." President Xi Jinping has waged a three-year crackdown on graft since taking office in 2012. The campaign has targeted officials at state-owned companies, as well as top Communist Party officials. The investigations often result in convictions. Before leading the National Bureau of Statistics, Wang worked in China's Ministry of Finance and held positions related to tax administration. -- Steven Jiang and Huizhong Wu contributed reporting.